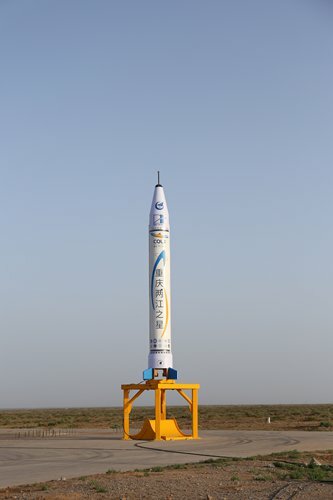 The OS-X rocket, "Chongqing Liangjiang Star," designed and developed by Chongqing-based start-up company OneSpace, took off from an undisclosed location in Northwest China's Inner Mongolia Autonomous Region at 7:33 am Thursday. 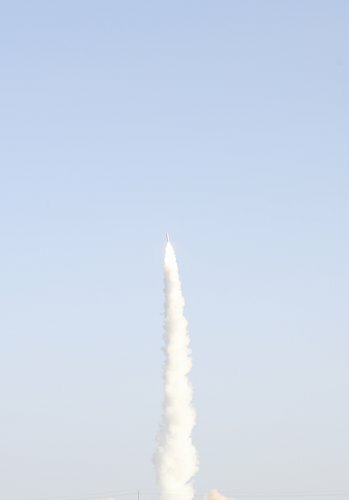 The 9-meter high, 7,200-kilogram rocket is capable of reaching an altitude of 38.7 kilometers with a maximum speed of 5.7 times the speed of sound, according to a OneSpace statement. The company said the launch has met the requirements of the client, a Shenyang-based research institute under the Aviation Industry Corporation of China. OneSpace CEO Shu Chang conceded at a Thursday press conference the gap between his company and SpaceX, but said OneSpace may be able to compete with SpaceX in certain areas in the next five to 10 years. "OneSpace is dedicated to developing small-launch vehicles that carry micro- and nano-satellites. SpaceX is sending much larger satellites," Shu said. SpaceX is now worth $21.5 billion. Shu declined to reveal his company's worth. However, Zhengxuan Investment Co chairman Xia Zuoquan, who led investment worth more than 100 million yuan ($15.7 million) in OneSpace in 2016, said Thursday's successful launch gave him confidence in China's commercial space sector, and that he intends to help OneSpace surpass SpaceX. Established in 2015 in Beijing, OneSpace has since received three rounds of investment totaling 500 million yuan. OneSpace President Ma Chao told the Global Times on Thursday that compared with other overseas private space companies, OneSpace enjoys low costs. Ma said OneSpace has already signed contracts with domestic and overseas clients, and orders of the OS-X series have been made for 2019. It has also established partnerships with satellite companies in Asia and Europe. In 2014, China began encouraging private capital in the satellite and spaceflight industries, a previously closed sector. The country said in its 2016 space activities white paper that its vision is to "build China into a space power in all respects." 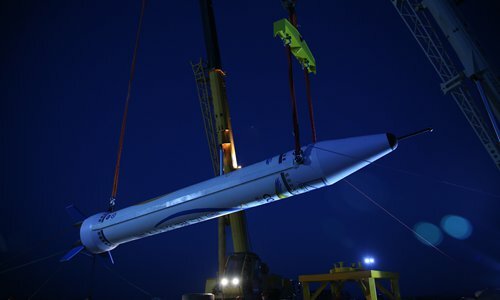 In April, another private Chinese company, Space Honor, successfully launched a solid-propellant rocket from Hainan Province to a height of 108 kilometers. But OneSpace stressed its rocket is based on self-developed technology, claiming the company had completed research on rocket engines in nine months and control systems in six months, and there is much room for improvement in technology and costs. Lin Guiping, a professor at Beihang University, said the opening-up could improve competition in the industry, boost innovation and develop China's space sector. Lin said that the high-efficiency and profit-oriented nature of private companies could help China conduct space experiments at a much lower cost and shorter time, and that the companies can also serve as a platform for universities to test their research projects. 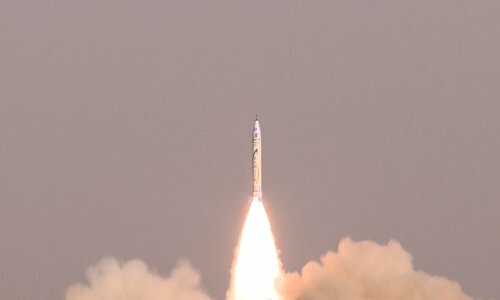 Pang Zhihao, a Beijing-based rocket expert, told the Global Times that China needs to develop commercial rocket launch sites to accommodate the companies, as the current fields are military controlled.